All items shown are currently available at Techtronix. We have many items available that are not shown here. We have new items coming in every day. Stop by today for a great deal. $740.00 (Techtronix Refurbished) ASUS VivoBook Flip 14-inch Windows 10 2-in-1 Convertible Tablet/Laptop. Very good condition. Includes charger and original manuals. Windows 10 has been reset and is ready for initial setup. Specs include: 14” Full HD 1080P Wideview touch display with up to 178° viewing angle, Intel Core i7-7500U 2.7GHz (Turbo up to 3.5GHz), Intel HD graphics 620, 16GB DDR4 RAM, 256GB SSD, Backlit keyboard, Fingerprint sensor, Wi-Fi, Bluetooth, HDMI, USB 3.0, USC-C, SD card slot and more. $240.00 HP Pavilion (White) 24-inch All-In-One Windows 10 Desktop Computer. Good used condition. Includes keyboard, mouse and power supply. Windows 10 has been freshly reinstalled and updated. Specs include: 2.20GHz AMD A8-7410 quad core APU with AMD Radeon R5 graphics, 8GB DDR3 memory, 1TB hard drive, Wi-Fi, Bluetooth, WebCam, HDMI, USB 3.0, CD/DVD burner and more. $240.00 Lenovo H520 Windows 10 Desktop Computer with 20-inch AOC Monitor & Accessories. Very good used condition. Includes: Computer, 19.5-inch AOC E2070SWN 1600x900 LCD Monitor, Keyboard, Mouse, Logitech speakers and all necessary cables. 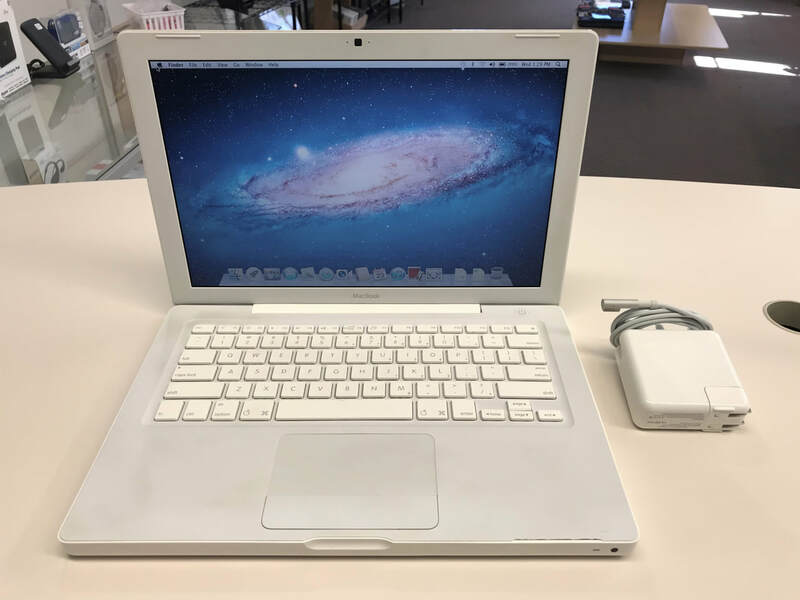 Specs include: 3.00GHz Intel Pentium G2030 dual core processor, Intel HD graphics, 8GB DDR3 memory, 1TB hard drive, Wi-Fi, CD/DVD burner, SD card slot and more. $240.00 HP Pavilion 570-P013WB Windows 10 Desktop Computer. Very good used condition. Includes power cord. Windows 10 has been freshly re-installed and updated. Specs include: 3.90GHz Intel Core i3-7100 dual core processor, Intel HD graphics 630, 8GB DDR4 memory, 1TB hard drive, USB 3, USB-C, SD card slot, Wi-Fi, Bluetooth, HDMI, CD/DVD burner and more. $160.00 HP G6 15.6-inch Windows 10 Laptop Computer. Good used condition. Includes charger. Windows 10 has been freshly reinstalled and updated. Specs include: 2.70GHz AMD A6-4400M dual core APU with Radeon HD 7520G graphics, 8GB DDR3 memory, 500GB hard drive, Wi-Fi, WebCam, HDMI, USB 3.0, CD/DVD burner and more. $160.00 HP Chromebook Snow White 14-inch Touch Screen Chrome OS Laptop Computer. Very good used condition. Includes charger. Reset and ready for initial setup. Specs include: 1.10GHz Intel Celeron N3350 Dual-Core, Intel HD Graphics 500, 4GB DDR4 memory, 16 GB eMMC Storage, Wi-Fi, Bluetooth, Micro SD card slot, WebCam, USB 3.0, USB-C and more. $160.00 HP Stream 14-inch Windows 10 Laptop Computer. Excellent like new condition. Includes charger. Specs include: 1.60GHz Intel Celeron N3060 dual core processor, Intel HD graphics, 4GB DDR3 memory, 32GB eMMC storage, Wi-Fi, Bluetooth, HDMI, USB 3.0, Webcam, SD card slot and more. $120.00 Samsung Chromebook 3 11.6-inch Chrome OS Laptop Computer. Very good used condition. Includes original charger. Factory reset and ready for initial setup. Specs include: 1.60GHz Intel Celeron N3060 dual core processor, Intel HD Graphics 400, 2GB memory, 16GB eMMc storage, WebCam, microSD card slot, HDMI, USB 3.0 and more. $100.00 AVGO 10.1-inch Touch Screen Windows 10 2-in-1 Tablet Laptop with Detachable Keyboard. Very good used condition. Includes original charger. Windows 10 has been reset and is ready for initial setup. Specs include: 1.33GHz Intel Atom x5-Z8350 quad-core processor, Intel HD graphics, 4GB DDR3L system memory, 32GB 32GB flash storage plus SDHC/SDXC memory card slot, 2MP front camera, 5MP rear camera, Wi-Fi, Bluetooth, USB, Micro HDMI and more. $80.00 Samsung Chromebook 2 11.6-inch Chrome OS Laptop Computer. Good used condition. Includes charger. Specs include: 1.90GHz Samsung Exynos 5 Octa 5420 processor, ARM Graphics, 4GB DDR3 memory, 16GB eMMC Flash Storage, Wi-Fi, Bluetooth, WebCam, HDMI, USB 3.0, Micro SD card slot and more. $120.00 HP P2-1013W Windows 7 Home Premium Desktop Computer. Includes power supply. Good used condition. Specs include: 1.65GHz AMD E-450 dual core APU with Radeon HD 6320 graphics, 4GB DDR3 memory, 500GB hard drive, CD/DVD burner and more. $120.00 NEW LG 230W Hi-Fi Entertainment System with Bluetooth Connectivity (CM4360). $120.00 NEW (Open Box) beFree Sound BFS-6445 Rechargeable Bluetooth Portable Speaker Projection Party Light Dome Subwoofer with USB/SD Input, FM Radio, Remote Control and Microphone. $140.00 Original Nintendo Entertainment System (NES) Action Set Video Game Console & Accessories In Box. Very good used condition. Includes: Original Box, Console, Super Mario Bros / Duck Hunt Game Cartridge with Sleeve, 2 Original Controllers, Zapper gun, A/V Cable, RF Adapter and Power Supply. $140.00 Original Nintendo Entertainment System (NES) Action Set Video Game Console & Accessories In Box. Very good used condition. Includes: Original Box, Manuals, Console, Super Mario Bros / Duck Hunt Game Cartridge with Sleeve, 2 Original Controllers, Zapper gun, A/V Cable, RF Adapter and Power Supply. ​$100.00 Super Nintendo Entertainment System (SNES) Video Game Console & Accessories with Super Mario All Stars & Super Mario World Game Cartridge. Good used condition and works great. Includes 2 original controller, AV cables, RF switch, Power supply and Game. ​$50.00 Sega Genesis Flashback HD Video Game Console with 85 Built In Games and 2 Wireless Controllers. Also includes 6ft. HDMI cable and power supply. You can also play your old game cartridges. ​$100.00 Original Nintendo Entertainment System (NES) Video Game Console & Accessories. Good used condition. Includes: Console, Super Mario Bros / Duck Hunt Game Cartridge, 2 Original Controllers, Zapper gun, A/V Cable, RF Adapter and Power Supply. $40.00 Original Microsoft Xbox Video Game Console & Accessories. Good used condition. Includes two controllers as shown, AV cable and power cord. $20.00 Each NEW Altec Lansing Baby Boom Rugged Bluetooth Speaker (Various Colors). New/Sealed. $50.00 Brother HL-2230 Monochrome (Black/White ONLY) Laser Printer (HL2230). Very good used condition. Includes 2 new sealed toner cartridges, power cord and USB cable. The installed toner cartridge was just installed and is full. $60.00 NEW AVGO Traveler Vintage Style Bluetooth 3-Speed Portable Suitcase Turntable (Blue) CR8005E-BL. $30.00 (NEW) Hidden Camera 1080P USB Wall Charger Adapter Video Recorder Security Camera Nanny Cam with Card Reader. Micro SD memory card required. $30.00 Hunterspider Micolindun V-3 Blue Gaming Headset Over Ear Gaming Headphones with Mic, Stereo Surround, Noise Reduction, LED Lights, Volume Control. For PS4, Xbox One, Laptop, PC, Tablet and Smartphones. $25.00 (each) (NEW) Blaupunkt TRT1049 Car Audio AM/FM Bluetooth Media Receiver with Remote. These units are NEW in original retail packaging. $30.00 TP-Link AC750 Wi-Fi Range Extender RE205. Very good used condition. No manual. $15.00 NEW (Open Box) Logitech C270 720P 30FPS Webcam. Complete in box. ​$20.00 (NEW) BESTEK Smart Plug,WiFi Smart Plug 10A 1250W Max Works with Alexa Echo Google Home and IFTTT, No Hub Required,White. ​$25.00 (NEW) Hokonui 10,000MAH Qi Wired/Wireless Dual USB Charging Power Bank Battery Backup. $20.00 (NEW) Parihy H903 Bluetooth Wireless Headphones. New, sealed original retail packaging. ​$40.00 (NEW) GoolRC T5W Wi-Fi FPV RC Quadcopter Drone with Camera, Live Video, Headless Mode, One Key Return & 3D Flips. ​$30.00 NEW SEALED Hyper Tough 0.5-Gallon Inflator. The HyperTough 120 Volt 0.5 - Gallon Inflator is light and easy to carry from job to job. With an oil-free pump and easy to read gauges this tool offers ease of use for light-duty jobs. Great use for household tasks like inflating tires and inflatable games and pool float products. $30.00 (NEW) LITOM (2-Pack) 30 LED Solar Lights Outdoor, Enhanced IP67 Waterproof Wireless Solar Motion Sensor Lights. ​$10.00 NEW Light Room Portable Photo Studio Lighting Box with LED Light and Black & White Backdrops. $35.00 NEW PowerA Enhanced Wireless Controller for Nintendo Switch White & Red. ​$15.00 (NEW-Open Box) Microsoft Xbox One Chat Headset Model: 1564. ​$10.00 Power-A Xbox One Wired Headband Headset with microphone, inline volume control and mute switch. Visit our facebook page for more great deals. Don't forget to hit the Like button.